Germany plays Poland in Euro 2008 Group B match. Catch Germany vs Poland Euro 2008 highlights and video here and don’t miss any Euro 2008 highlights. Germany, pre tournament favorites will open their Euro 2008 campaign against Poland in a Group B match at Hypo-Arena. 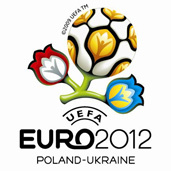 The time of the match (Kick-off) of the Germany vs Poland Euro 2008 match will be on 19.45 (UK Time). Another game worth to stay up to watch. If i can stay up, so can you!. I still can remember during Euro 1996, the Germans won the cup by beating the Czech Republic in the final. Since then, the Germans hasn’t won anything yet. So after 14 years, this might the year for the Germans! The Euro 2008 Group B clash between Germany and Poland promises to be a heated event, based on the atmosphere in the media these past few days. A Polish magazine published a picture of Poland manager Leo Beenhakker holding chopped off heads of two German players, which was then widely covered by German media. Suggestion for poland is not to come down in ground because Germany will thrash you out…………….